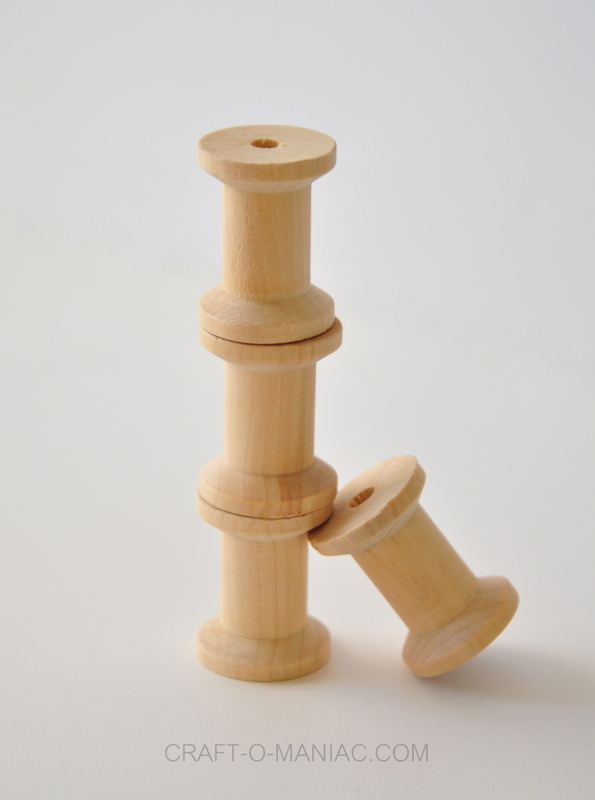 Hi guys, today I am sharing an easy and darling craft (my favorite kind). 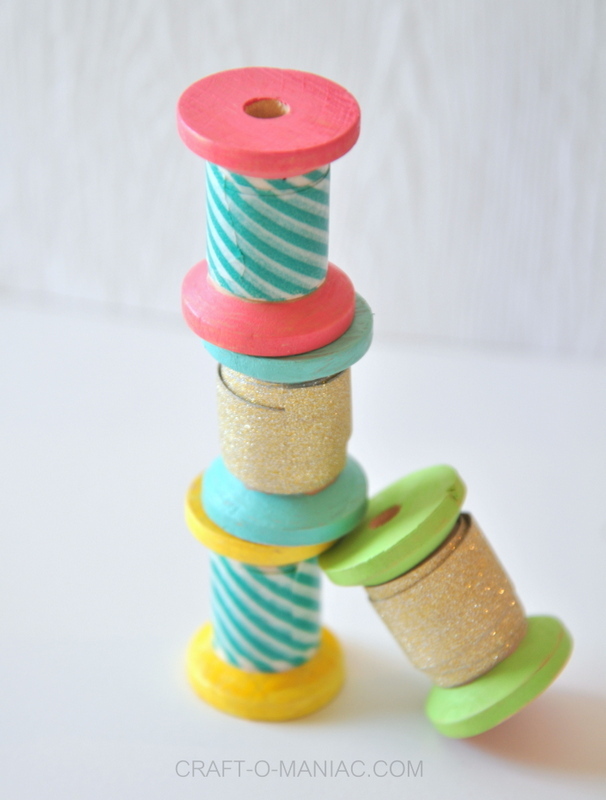 I am sharing these adorable “DIY Painted Spool Washi Tape Holders!” If you love washi tape, and you have a huge hoarding stash of them,.. and you think you might be wiling to share some of your washi tape, well then this simple project is for you. 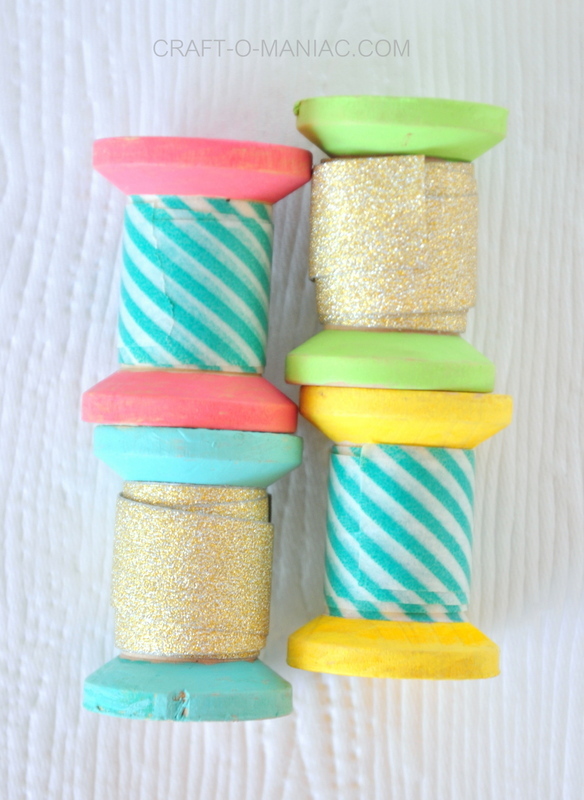 Plus your sweet “generosity sharing” your washi tape will be appreciated by other crafter’s just like you. 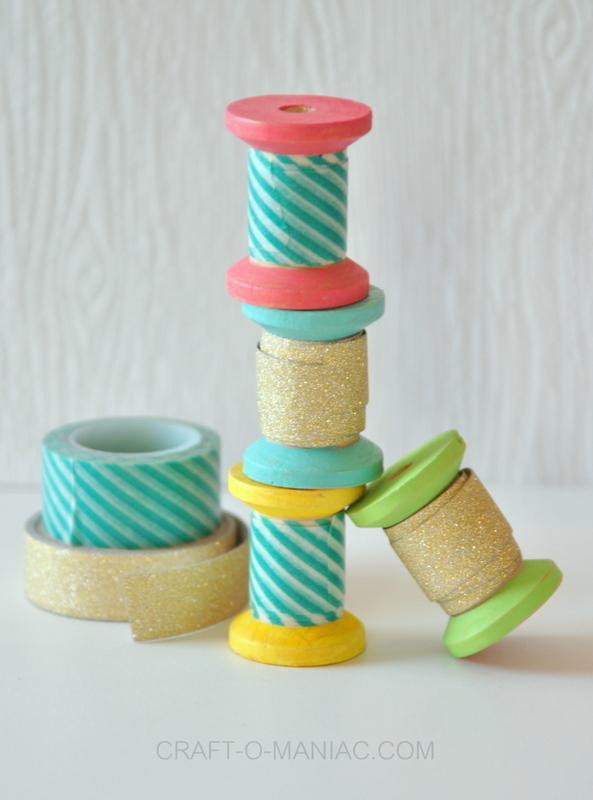 Who loves washi tape? raise your hand? Me! 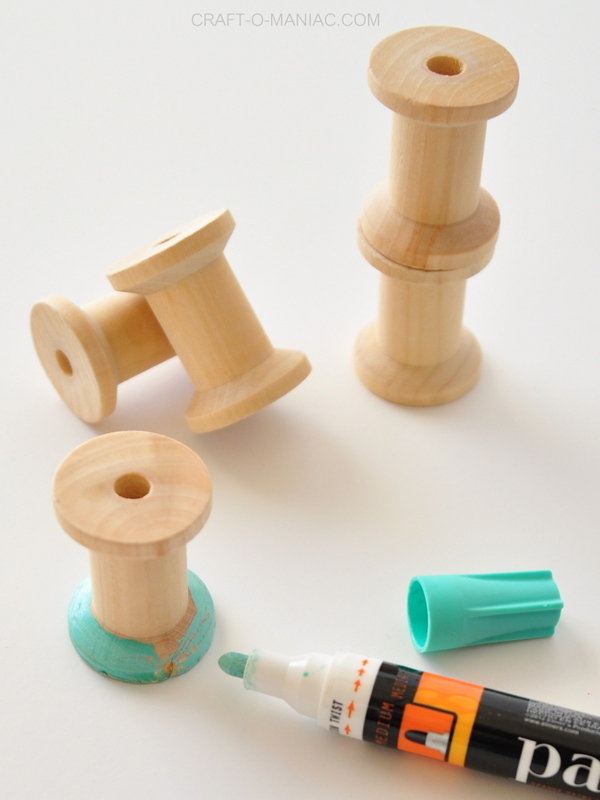 I just took my favorite Elmers Painters markers (that freaking come in every color, no joke) and I started scribbling the painters markers onto the top and bottoms of the wood spools. 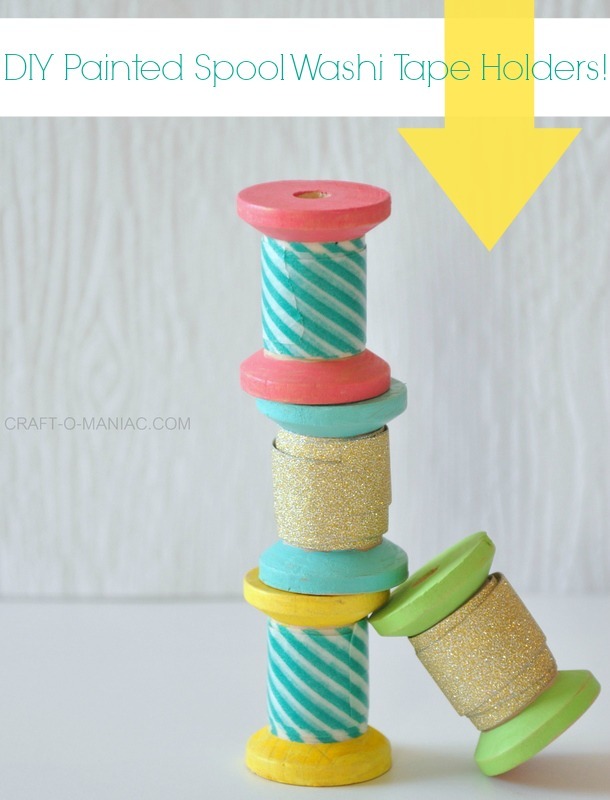 Once I was done I just wrapped washi tape around the spools, tore off the extra and sealed down the torn piece to the washi tape, and was done. Instant cuteness, The End! Simple, Sweet, and Easy right? I hope you all like them. 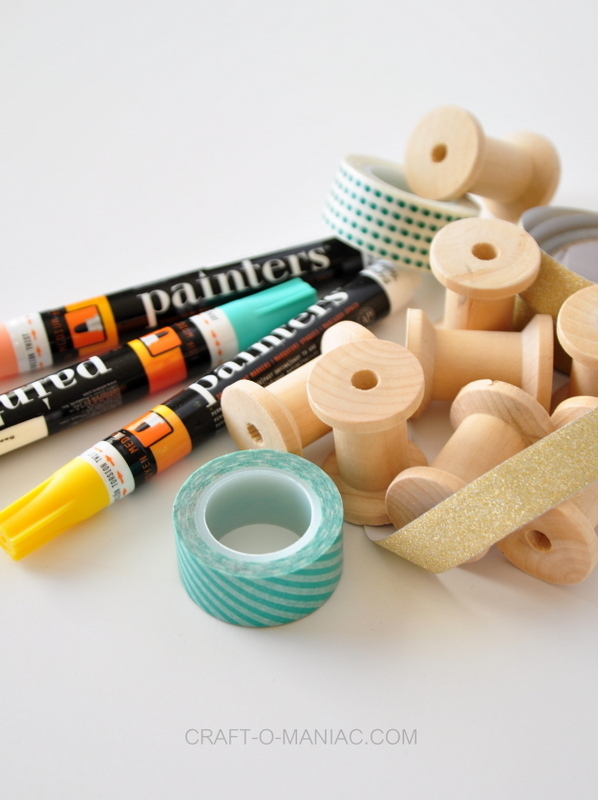 Plus you can paint them with your Painters Markers any colors you want, and add any washi tape you want too. Love this! 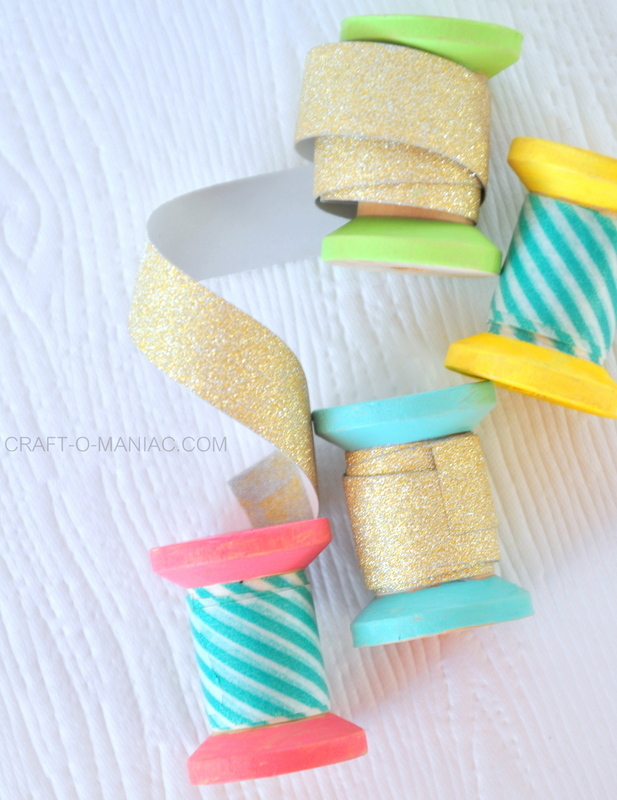 The colors are fabulous and it’s such a cute and creative idea. Pinned!! !